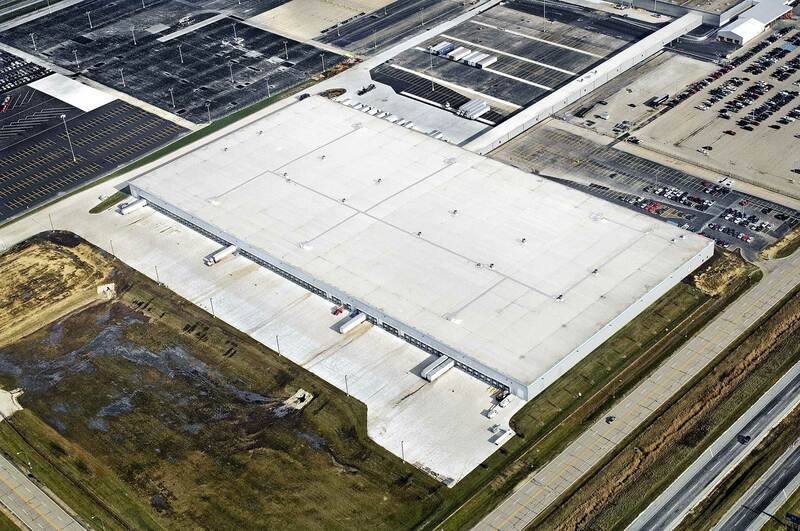 McShane Construction Company provided design/build services for the 500,000-square-foot JIT Sequence Center located on the 280-acre campus of the Chrysler Group Belvidere Assembly Plant in Belvidere, Illinois. The facility houses and distributes parts to support the adjacent assembly plant. The JIT Sequence Center was constructed of structural, load-bearing precast wall panels with a roof system providing a light-reflecting surface. A portion of the 39-acre site is being utilized for trailer parking with an additional staging area adjacent to the 105 truck docks and two drive-in doors. McShane also constructed the 850′ environmentally-controlled transway for the conveyance of parts between the JIT Sequence Center and the assembly plant. Three office components were constructed to provide office and break areas for employees.